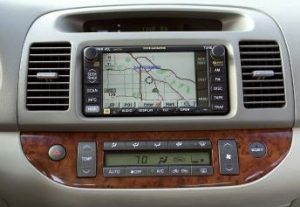 Common Problem: Touch panel not responding ,Won't eject CD, Won't accept CD, Black display ( no back light ) , CD does not play , GPS does not work, Error message. Note: This unit has an APPS feature . Please send the complete unit and front panel without A|C Control for repair . Extra repair cost if complete pc board needs to be replaced . Note: Please send the complete unit and front panel without A/C Control for repair . Extra repair cost if complete pc board needs to be replaced . Common Problem: Won't eject CD, Won't accept CD, Black display ( no back light ) , CD does not play , GPS does not work, Error message. Repair Cost: $300. to $425. Repair Cost: $350. to 450. 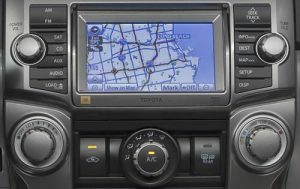 Common Problem: Touch panel not responding , Black display ( no back light ) , CD does not play , GPS does not work , Won't accept CD , Won't eject CD, Error message . Note: Remove your discs from CD Changer prior shipping . This unit has an APPS feature . Note: Remove your discs from CD Changer prior shipping . 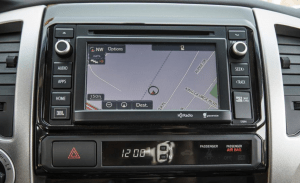 Common Problem: Touch panel not responding , Black display ( no back light ) , CD does not play , GPS does not work ,Won't accept CD , Won't eject CD, Error message. Repair Cost: $220. to 320. Note: Extra repair cost if complete pc board needs to be replaced . Remove your discs from CD Changer prior shipping . Repair Cost: $220. to $320. Common Problem: Black display ( no back light ) , Black display ( no back light ) , Error message , Won't accept CD , Won't eject CD , CD does not play . Repair Cost: $125. to $245. Repair Cost: $220. to $285. Note: Navigation unit is located in the trunk. Extra repair cost if complete pc board needs to be replaced . Remove your discs from CD Changer prior shipping . 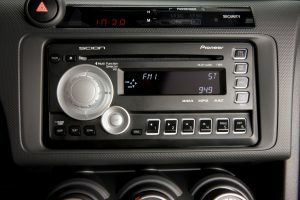 Common Problem: Black display ( no back light ) , Error message , Cassette won't eject , Won't accept cassette , Won't accept CD , Won't eject CD , CD or cassette does not play . 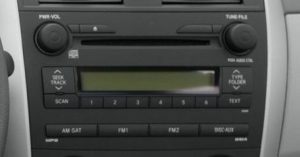 Common Problem: Keeps reloading, Touch panel not responding , Black display ( no back light ) , CD does not play , GPS does not work ,Won't accept CD message. Repair Cost: $250. to $850. Note: This unit has an APPS feature . Common Problem: Touch panel not responding , Black display ( no back light ) , Keeps rebooting, CD does not play , Won't accept CD , Won't eject CD, Error message. Repair Cost: $150. to $285. 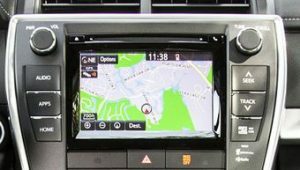 Common Problem: Touch panel not responding , Black display ( no back light ) , CD does not play , GPS does not work ,Won't accept CD message. Repair Cost: $275. to $550. Common Problem: Black display ( no back light ) , Error message , Won't accept CD , Won't eject CD , CD does not play . Common Problem: Black display ( no back light ) , Error message , Won't eject CD. Repair Cost: $125. to 220. 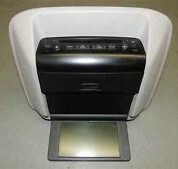 Common Problem: Touch panel does not respond , Broken touch panel, LCD screen has lines , LDC screen has spots or is dim . Note: This unit has an APPS feature . If you have any other problem with your unit, please send it in for an estimate. Note: If the unit does not power up or has any other issue, please send it in for an estimate. Extra Repair cost if complete PC Board needs to be replaced. Note: This unit has an APPS feature . 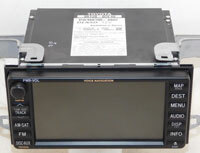 If the unit does not power up or has any other issue, please send it in for an estimate. Extra Repair cost if complete PC Board needs to be replaced. Common Problem: Common Problem: Black display ( no back light ) , Error message , Won't accept CD , Won't eject CD , CD does not play . 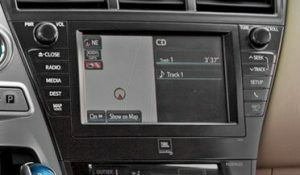 Common Problem: GPS does not work , Touch panel does not respond , Black display , CD does not play , CD does not eject . Repair Cost: $325. to $850. 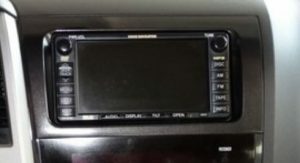 Common Problem: Black display ( no back light ) , GPS does not work , Error message , Cassette won't eject , Won't accept cassette , Won't accept CD , Won't eject CD , Won't change CD , CD or cassette does not play . Note: Navigation Drive unit located under the seat . Common Problem: A|C temperature can't be controlled , Fan speed issues , Temp setting changes by itself . 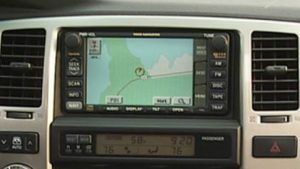 Common Problem: GPS does not work , Touch panel does not respond , Black display , CD does not play . Note: Extra repair cost if complete pc board needs to be replaced . Common Problem:Does not read disc , No display , Touch panel malfunction , Won't eject disc , Won't accept disc . Note: This unit has an APPS feature . Extra Repair cost if complete PC Board needs to be replaced . Common Problem: Does not read disc , No display , Touch panel malfunction , Does not accept disc , Does not eject disc. 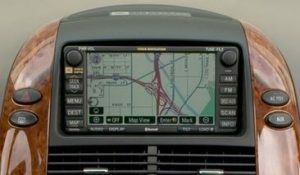 Common Problem: Does not read GPS disc , No display , Touch panel malfunction . Repair Cost: $375. to $650. Common Problem: Does not play disc , No display , Does not aceppt disc, Does not eject disc . 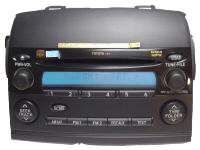 Common Problem: Black display ( no back light ) , Error message , Cassette won't eject , Won't accept cassette , Won't accept CD , Won't eject CD , Won't change CD , CD or cassette does not play . Repair Cost: $150. to $275. Common Problem: Touch Screen does not respond , Black screen , Intermittent operation . Repair Cost: $250. to $650. Repair Cost: $200. to $500. Common Problem: Black display ( no back light ) , Touch panel malfunction , Error message , Won't accept CD , Won't eject CD , Won't change CD , CD does not play . Common Problem: Black display ( no back light ) , Error message , Won't accept CD , Won't eject CD , Won't change CD , CD does not play . Common Problem: Black display ( no back light ) , Touch panel malfunction . Note: We repair different types of these units . Unit has APPS feature . Extra repair cost if complete unit needs to be replaced . 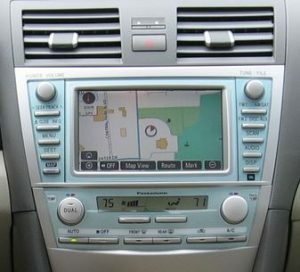 Common Problem: Black display ( no back light ) , Touch panel malfunction , GPS is not working , Error message , Won't accept CD , Won't eject CD , Won't change CD , CD does not play . Common Problem:Black display ( no back light ) , Error message , Won't accept CD , Won't eject CD , Won't change CD , CD does not play . Repair Cost: $85. to $145. Common Problem:Blank screen, Won't play DVD, Won't accept disc. Common Problem: DVD won't play, Won't load disc, DVD plays but screen is black. 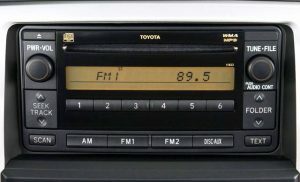 Common Problem: Common Problem: CD Changer shows error message, Won't load nor accept disc, Half display is dim, When press scan switch it does not top at any FM or AM stations. Note: This unit has an APPS feature . Extra Repair cost if complete PC Board needs to be replaced. 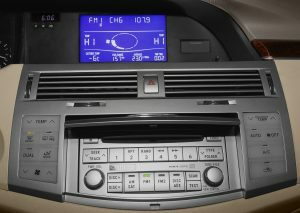 Note: DVD-drive is built into the the head unit. Note:Extra Repair cost if complete PC Board needs to be replaced. Repair Cost: $125. to $185. Note: Remove your discs from CD changer prior shipping . Extra Repair cost if complete PC Board or Drive unit needs to be replaced . 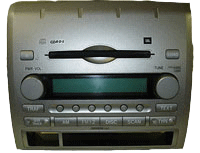 Common Problem: Blank screen, No sound , Won't open , Shows error messages , CD changer won't load nor eject discs , Disc skips , Plays certain tracks only . Volume drops or goes high by itself . Half the LCD screen fades out . Note: Additional parts may be required. Remove your discs from CD Changer prior shipping . Extra Repair cost if complete PC board or brive unit needs to be replaced . Common Problem: Disc is inside the navigation unit but display shows no disc detected, insert disc, incorrect disc, does not read disc, won't eject disc. Note: Please ship your unit for Free Estimate. Extra Repair cost if complete PC Board or Drive unit needs to be replaced. What is Bluetooth technology? Bluetooth is a new wireless technology that enables connectivity between two or more devices (for example, cell phoneand vehicle) by utilizing a 2.4-GHz radio spectrum that has a range of 10 meters. 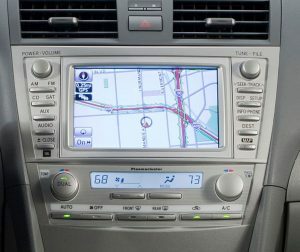 Bluetooth allows customers to use theircompatible cell phones hands-free in the vehicle.Due to variations among service providers, handsets and technology, keep in mind that not all Bluetooth handsets willoffer the same level of functionality within Bluetooth-equipped Toyota vehicles. What is the range of Bluetooth? 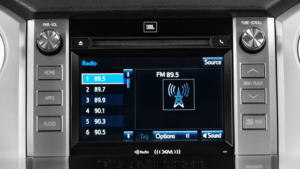 The vehicle Bluetooth system can pick up the Bluetooth signal from the handset up to 30 feet from the vehicle. The rangeis largely dependent on which phone is being used and the battery level of the phone. 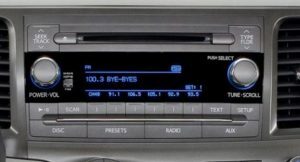 Can any Bluetooth handset be integrated to the Toyota DVD navigation or audio system? 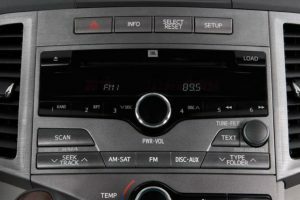 Because Bluetooth has a universal standard developed by a consortium of interested companies, almost all Bluetoothhandsets should have some functionality in our vehicles. However, because of the differences in the quality of thehandsets and Bluetooth chip programming, you may encounter different levels of functionality from one phone to another. Is a charging cradle available for Bluetooth phones? There is currently no charging cradle available from Toyota for Bluetooth handsets. 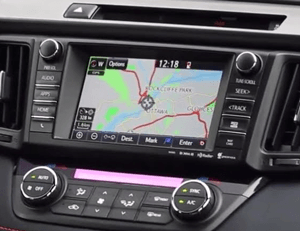 Which Toyota vehicles have Bluetooth technology? 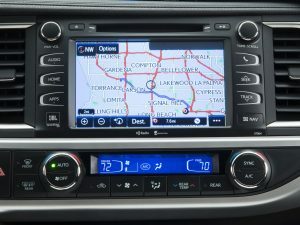 Please refer to the LetsTalk Web site for Toyota at toyota.letstalk.com for a list of Toyota vehicles that have availableBluetooth technology. What is BLU Logic? BLU Logic is an accessory device that integrates with the factory audio system to allow convenient hands-free mobilephone use. 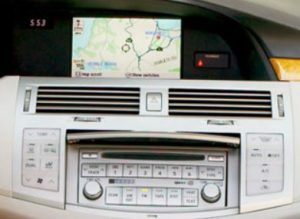 With BLU Logic, users can answer incoming calls, hear calls through the vehicle’s audio system andcommunicate through the fixed microphone provided. 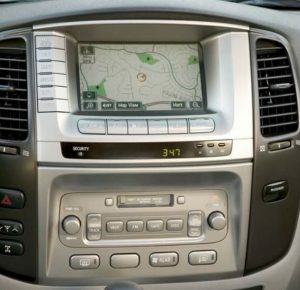 BLU Logic offers the ability to pair with up to seven differentphones, automatic audio routing through the vehicle’s front speakers, automatic muting of the vehicle’s audio systemwhen receiving or making a call, voice dialing for enabled phones and last number redial. 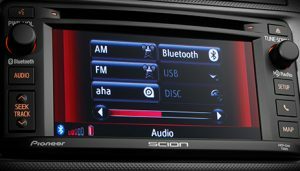 Additionally, if the paired phoneoffers Advanced Audio Distribution Profile (A2DP) compatibility, users may even listen to music streamed from the phonethrough the vehicle’s front speakers. 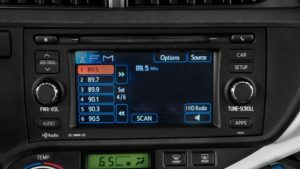 Which vehicles are compatible with BLU Logic? 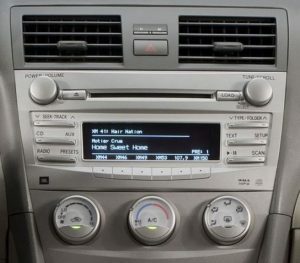 BLU Logic is compatible with most new and late-model (2008+) Toyota vehicles without JBL® audio systems. 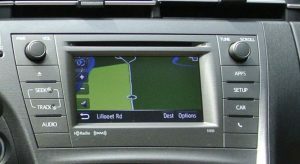 BLU Logicmay also not be compatible with some navigation-equipped vehicles. 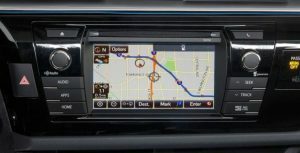 For specific vehicle compatibility information, pleasesee your local Toyota dealer. How do I get the best voice quality when using BLU Logic? Because the BLU Logic system incorporates a technology to suppress background noise, users should speak in a normalconversational volume. Hands-free mobile phone operation with a built-in microphone and utilization of the audio speakers. 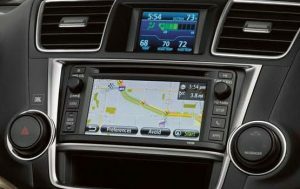 Answering incoming calls with one touch of the steering-wheel control or the navigation screen. Automatic audio mute when receiving or making a call. Dialing a number by using the touch pad on the navigation screen. One-touch dialing on the navigation screen for speed-dial numbers (17). Making a call from the phone book (1000 numbers). Making a return call from the outgoing call log or the incoming call log (five most recent calls). 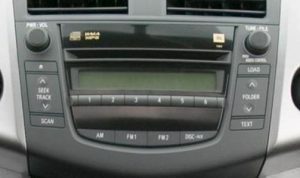 One-touch dial to points of interest on the navigation screen. 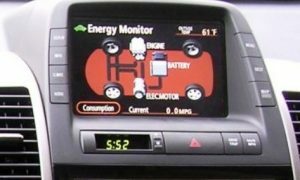 How do I continue a Bluetooth call after I leave the vehicle? The instructions for this procedure are included in the Installation Quick Reference Guide for each Bluetooth handset.Please select the instructions that correspond to your Bluetooth phone. Go through the purchase procedure on the site, and LetsTalk can activate the handset and have it deliveredwithin two days. Information about all calling plans, including pricing and information about number of minutes available. Information about available handsets, including key technical information. 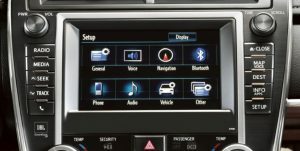 How many phones can be paired to the Toyota Bluetooth system? 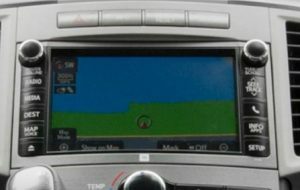 Navigation-based systems can pair with four to six mobile phones depending on the vehicle. 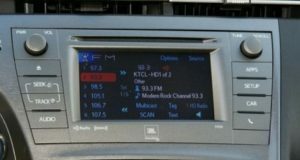 Bluetooth-enabled audiobasedsystems can pair with six cell phones. If the systems can pair with multiple phones (four with navigation, six with audio), how will thesystems determine which paired phones will be activated? A system will search for the most recently used phone. 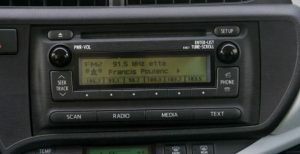 If this phone is not in the vehicle (or turned on), the Bluetoothsystem will not be active. To activate Bluetooth a new phone can be paired, or an already paired phone can be selectedfor the Bluetooth system memory. 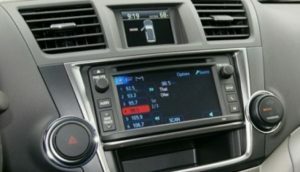 Can I transfer numbers from my Bluetooth phone to the vehicle? 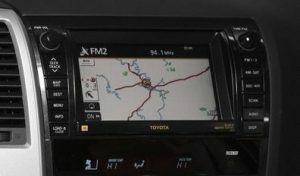 Some phone and service-provider combinations allow you to download your phone book directly into the ToyotaBluetooth system. Others are more restrictive. 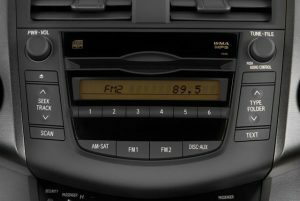 How can I activate my Bluetooth handset in my vehicle? Different phone and service-provider combinations follow different protocols for pairing a Bluetooth phone to a hands-freedevice. Please refer to your phone's owner's manual for pairing instructions. Which handsets can I utilize? Bluetooth handsets can vary in quality and contain different Bluetooth chip programming. Therefore, not all Bluetoothhandsets will operate at the same level. 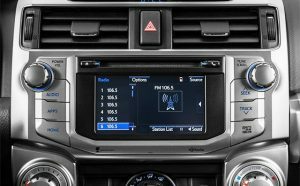 In order to account for this, Toyota is evaluating Bluetooth handsets and willidentify those that work best with our system. Can a customer buy any Bluetooth handset retail and have it work with/transfer to our system? 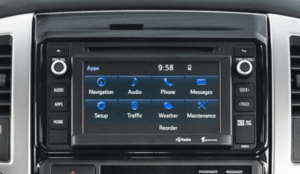 Because Bluetooth has a universal standard developed by a consortium of interested companies, almost all Bluetoothhandsets should have some functionality in our vehicles. 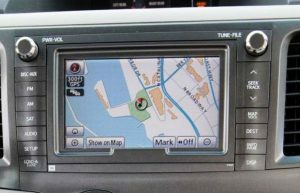 However, because of the differences in the quality of thehandsets and Bluetooth chip programming, not all Bluetooth handsets will have the same level of performance wheninterfacing with the Bluetooth chips in our vehicles. 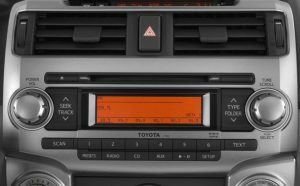 That is why Toyota is evaluating Bluetooth handsets to help ensurequality operation. What is the warranty on Bluetooth handsets? Handsets are sold separately and typically have a one-year warranty through the manufacturer. Consumers should checkwith the handset manufacturer for details about the warranty. 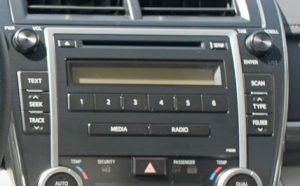 To determine if your existing phone will work: Click the "Pair an Existing Phone" button for a complete listing ofBluetooth phones that have been tested by Toyota. 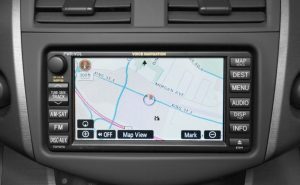 For each phone there will be a feature compatibility chartindicating which features typically work within a specified vehicle. 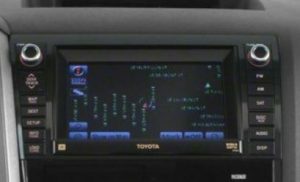 Also, each phone has a user guide that showshow the phone is paired and how to transfer phone numbers into the vehicle system. If you want to purchase a new phone: Click the "Select a New Phone" button for a listing of available cell phoneson the market. 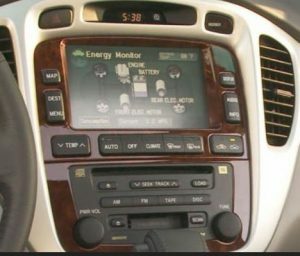 For each phone there will be a feature compatibility chart indicating which features typically workwithin a specified vehicle. 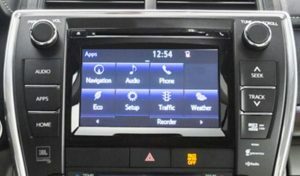 You can also call Toyota Bluetooth Phone Support, provided by LetsTalk, for anyadditional questions or support: 1-866-825-5460. What does Wireless Local Number Portability (WLNP) mean? This is a new government-mandated process that requires all wireless service providers to allow customers to maintaintheir current wireless phone numbers when they change service providers. Know the details. Your new carrier will need to know information about your existing account. So forconvenience, bring a bill from your existing carrier to your new one. If you don't have a copy of your bill, knowthe exact details of your account, including name (for example, is it billed to "Bill" or "William" Smith), address,account number and phone number. Leave some time. The process can take a few minutes or a few hours. It could take even longer for your phoneto be fully functional (such as being able to receive incoming calls). Timing counts. Start the process with your new carrier. If you cancel your current service with your existingcarrier, you may end up losing your number. Are you a free agent? You may be under contract with your existing carrier, who may charge you an earlyterminationfee if you cancel your existing service while still under contract. Start from scratch. You may need a new phone when you switch carriers, even if you are keeping your number.Familiarize yourself with your new carrier's rate plans, coverage area and features, too, because you'll need tochoose a new plan. Will my wireless local number work if I move across the country? The "L" in WLNP, "Local" means that when you switch carriers you will be able to keep your number within the samemetro area, but you may not be able to keep it if you move outside that metro area. 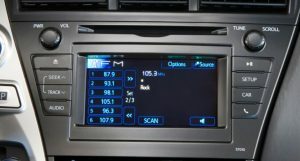 DISCLAIMERS The Bluetooth® word mark and logos are registered trademarks owned by Bluetooth SIG, Inc. and any use of suchmarks by Toyota is under license. Other trademarks and trade names are those of their respective owners. 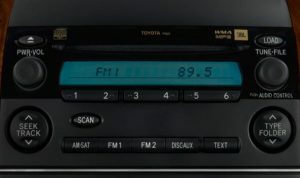 The phoneson toyota.letstalk.com have been tested for Bluetooth® wireless technology compatibility with Toyota vehicles. Performance will vary based on phone software version, coverage and your wireless carrier. Phones are warranted bytheir manufacturer, not Toyota. 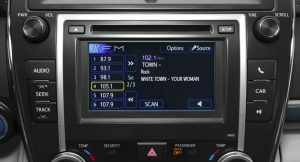 The Bluetooth® word mark and logos are registered trademarks owned by Bluetooth SIG, Inc. and any use of suchmarks by Toyota is under license. Other trademarks and trade names are those of their respective owners. The phoneson this site claim to support Bluetooth® wireless technology audio streaming. 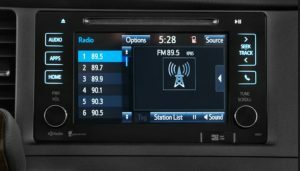 Toyota does not endorse a particular phoneor substantiate the Bluetooth® wireless technology audio streaming capability of the phones listed.